Your relationship with rust is personal. It’s the itch you can’t scratch. It’s the divide between a pristine sheen and a rough, corroded coat on a metal part. But, this is also your business, and that means stopping rust is about more than just ensuring rust-free metal parts. There is no business without the business of promoting a safe workplace and manufacturing processes. A better future demands that we take a look at the products we use and our workplace practices with a watchful eye on the environment. The oils and solvent-based corrosion inhibitors of old no longer fit the bill for safe and effective corrosion control. They contain Volatile Organic Compounds (VOCs) – pollutants that affect streams, lakes, groundwater and the air we breathe. They are also, according to the ISSA, a leading factor in causing ground-level ozone. Because of all this, today’s corrosion control and rust-prevention methods are scientifically tested against environmental requirements, not only to ensure safety, but also to guarantee effectiveness. In corrosion management, the new goal is to reduce the negative impact on people and the environment. This is achieved through the use of renewable resources for corrosion inhibitors, combined with reduced energy during their manufacturing. VCI (Volatile Corrosion Inhibitor) technology is the rust-prevention technology for those who care about their employees, about the environment and about delivering perfect metal parts to customers. VCI does away with the messy and toxic application of older corrosion inhibitors for easy and stronger application. The fact that VCI works on a molecular level brings a different kind of aggressive fight to rust forming on metal parts. Plus, it takes the work out of the hands of your employees and your customers. The result of using VCI to package metal parts is clean, dry, corrosion-free parts that are ready to be used without the need for cleaning or removal of messy oils and grease. If you’re wondering how corrosion-inhibitor technology may continue to evolve, just take a look at the health and safety trends across other industries. The scientific strides made in coating technology related to paints and automotive has led us to today’s VCI technology. Corrosion’s bad for your image, but the fight against corrosion [link to: Blog 11] is bigger than us all. As a business dealing with corrosion, you have a duty to adopt effective means for eradicating rust from your business while preserving the future and health of the environment. 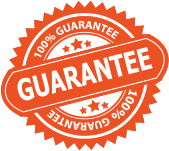 The best rust-prevention methods and eco-friendly corrosion inhibitors do more than one thing – and well. Where do your methods fall? Are they effective? Are they safe? 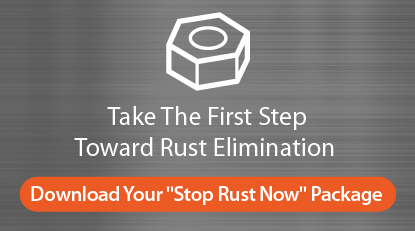 Download our STOP RUST NOW package to get the tools you need to improve manufacturing conditions for your employees and the environment.